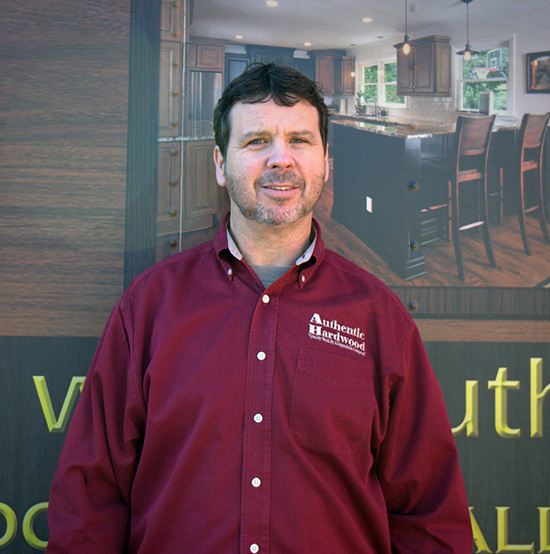 At Authentic Hardwood Flooring, our craftsmen are trained directly by Michael Keroack (owner and founder) in the Authentic Hardwood way. Not only are all of our employees rigorously taught how to install and apply finishes to beautiful custom wood floors, they are also equipped with customer service skills to ensure a seamless process with minimal disruption for all of our clients. From the moment we step into our clients’ homes, we treat their home as if it were our own. Michael Keroack has established detailed precautionary procedures that guarantee consistency and quality craftsmanship in all of the work we provide. From laying down durable floor coverings in rooms and halls not being worked on, to plastic wrapping kitchen cabinets and built-in bookshelves, our process is meticulous even before we begin our actual work. Our team is taught to always lock the doors when they are coming and going from a project, and to clean up any mess that is made before, during, or after installation. This allows us to reduce disruption for our clients’ lifestyles and minimizes dust as much as possible. Our customers can enjoy their new hardwoods without the worry and hassle of managing the project. Once we begin the project, we work directly with the top mills and distributors to source the highest quality wood for our clients. We then install the wood by hand, before finishing it. 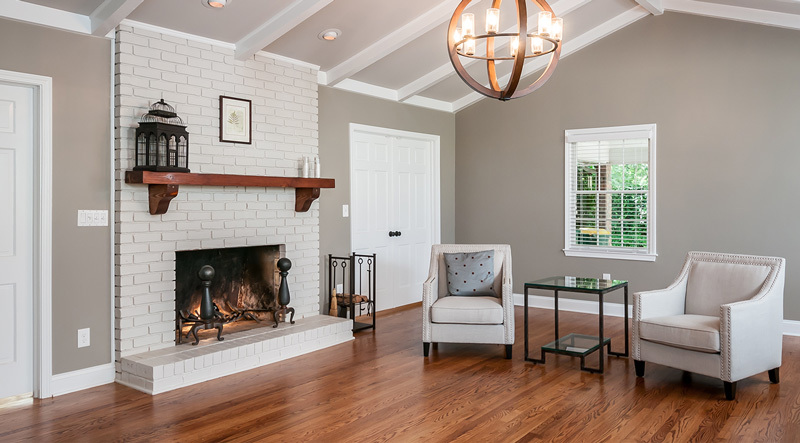 When it comes to finishing the wood, our team is highly trained in the application of both standard oil-based polyurethane and water-based finishes as well as luxury European finishes. We always show our clients stain samples during the sanding portion of the process, and are happy to do custom stain samples at our shop if needed. For standard finishes, we apply one coat of stain followed by 3 top coats of urethane. While we are happy to apply oil finishes for our clients, we do encourage all customers to consider water-based finishes as well. 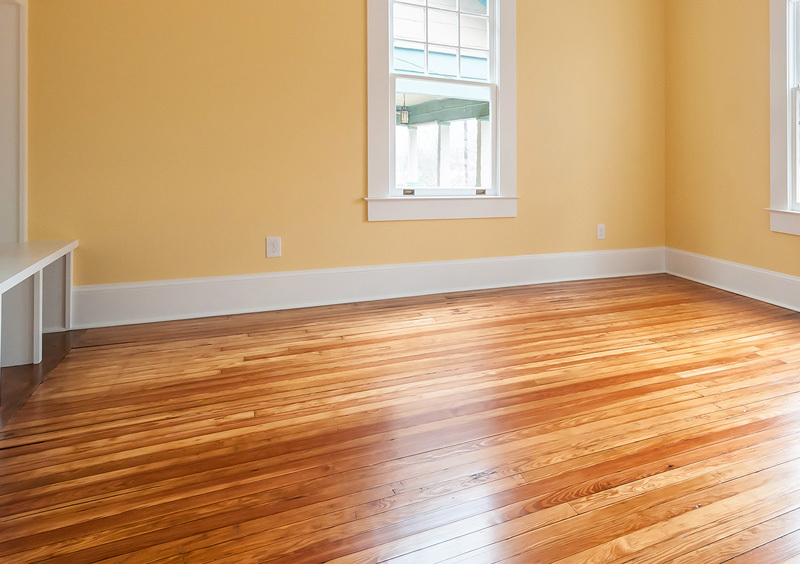 Water-based finishes are increasingly replacing oil-based polyurethanes for hardwood floors for several reasons. Water-based finishes tend to be non-yellowing, faster drying, and do not produce harmful odors like polyurethanes do. This means a faster process with no bad smells or off-gassing, so you can be back in your house, enjoying your new hardwoods in less time! For water-based finishes, we recommend Bona Traffic HD products. If you are looking for a unique alternative to a standard finish, Authentic Hardwood is happy to provide other types of finishes, such as the Rubio Mono Coat and Loba finishes. Our craftsmen are experienced with virtually all niche, high-end requests, and our services and products can almost always be tailored to the customer’s needs and preferences (such as prefinished flooring in all price ranges). We are a preferred installer for Authentic Reclaimed floors. We are also experienced in installing Coreteck luxury vinyl flooring, ideal for basements and houses on cement slabs. Have a question about our alternative finishes or products? Give us a call!